In 2008, Palin Warned that Obama’s “Indecision” and “Moral Equivalence” May Encourage Russia’s Putin to invade Ukraine. It is good to see the ignorant naysayers proven wrong when they mocked Sarah Palin for her prediction in a stump speech (back during the 2008 election campaign) regarding the probability that Russia would feel emboldened to invade Ukraine if Obummer was elected installed as president! During the 2008 presidential campaign, Republican vice presidential nominee Sarah Palin warned that if Senator Barack Obama were elected president, his “indecision” and “moral equivalence” may encourage Russia’s Vladimir Putin to invade Ukraine. After the Russian Army invaded the nation of Georgia, Senator Obama’s reaction was one of indecision and moral equivalence, the kind of response that would only encourage Russia’s Putin to invade Ukraine next. For those comments, she was mocked by the high-brow Foreign Policy magazine and its editor Blake Hounshell, who now is one of the editors of Politico magazine. In light of recent events in Ukraine and concerns that Russia is getting its troops ready to cross the border into the neighboring nation, nobody seems to be laughing at or dismissing those comments now. “And given how Russia has been able to unsettle Ukraine’s pro-Western government without firing a shot, I don’t see why violence would be necessary to bring Kiev to heel,” Hounshell dismissively wrote. Palin made her remarks on the stump after Obama’s running mate Joe Biden warned Obama supporters to “gird your loins” if Obama is elected because international leaders may test or try to take advantage of him. Even Biden got something correct about Obummer’s lack of experience back then during the primary! Hat tips to all links. P.S. This perceived “disagreement and dislike” going on for public view lately between 0bummer and Putin is such a farce! They planned this all along!! Looks to me like Barfy isn’t weak – he’s totally and utterly complicit! The propaganda and deceit coming from this evil commie/muslim usurper is overwhelmingly frightening to those of us who are paying attention! I learned something new about the garden that is located at the United Nations in New York City. The story about this contained in a recent devotional I had read (below) was intriguing to me because not only did it carry a great spiritual message, it also contained an important truth about studying the Bible. It is always recommended that one studies the surrounding verses of any Bible verse in order to get the true context of the lesson being taught. It is also advantageous to read other portions of the Bible (often recommended in the margins or notes area) that will give even more perspective on the subject. They shall beat their swords into plowshares, and their spears into pruning hooks; nation shall not lift up sword against nation, neither shall they learn war anymore. In the garden of the United Nations in New York City, a dramatic sculpture — a 1959 gift from the old Soviet Union — bears the words of Isaiah 2:4: “They shall beat their swords into plowshares.” The sculpture shows the figure of a man holding a hammer in one hand, and in the other, a sword that he is beating into a plow. It expresses the great aspiration for world peace. When Christ returns, and only then, will the angel’s message to the shepherds be totally fulfilled: Peace on earth, goodwill toward men. Today’s Russian government leaders, which supports two of the most evil nations on earth (Iran and Syria), obviously hasn’t learned any lessons from the past. We could also throw North Korea into the evil nation mix, but I must continue with the purpose of this post. The fact that the verses in Isaiah point towards the Second Coming of Christ shows how man, in his various sins of pride, greed, sin, and promotion of death; cannot possibly achieve world peace. There will always be another tyrant rising to power by utilizing all of these sins in order to achieve a certain end. But when benevolence, love of God, respect for His laws, and confession of true faith in Christ [namely, the Son of God], is missing; such power in human hands inevitably results in war. It can be war against a leader’s own people, other nations, perceived ideological “enemies” within a nation – the list could go on and on. “If you love Me, keep [fn] My commandments. Notice that Jesus said “My” commandments. He was expressing the fact that he is God! “If you keep My commandments, you will abide in My love, just as I have kept My Father’s commandments and abide in His love. The fact is, no one can keep the commandments perfectly. That is why Jesus came down to be our Savior – for the forgiveness of sins when we repent of them. Our sins are forgiven through Christ alone – past, present and future sins. When Jesus asks a question in Scripture, it is for the purpose of educating and receiving a response. Did the disciples (at that moment) know exactly who Jesus was? Peter got it right, but even he abandoned Christ at the cross. Even though Peter got it right, he still denied Jesus three times when Jesus was arrested and taken to the Romans. People! We are fallen creatures desperately in need of the Savior, Jesus Christ! There is no one else who can save us! And, Peter “came back” to Christ after the Resurrection – nevermore fearful for his mortal life because he knew that Jesus is the Christ! “let it be known to you all, and to all the people of Israel, that by the name of Jesus Christ of Nazareth, whom you crucified, whom God raised from the dead, by Him this man stands here before you whole. Despite our flaws, missteps, challenges, mistakes, and fears, Jesus is strong enough to hold us up when we belong to Him and adhere to His teachings! It just takes faith in Christ, confession and repentance of our sins, and asking Jesus to indwell us through the power of the Holy Spirit! I have seen the trailer and clips of the film on TV. It looks like the most exciting and awesome film about Jesus Christ ever made and can’t wait to see this movie!! Once again, the topic of “gay rights” is all over the news concerning a bill that was passed in the Arizona legislature that would give the right for business owners with deeply held religious beliefs to refuse service to someone who would force them to go against such beliefs. Matt Walsh has a good argument in his post entitled, Yes, of course a business owner should have the right to refuse service to gay people. It’s not that business owners want to “refuse service” to gays simply because they’re gay; it’s that some business owners — particularly people who work in the wedding industry — don’t want to be forced to employ their talents in service of something that defies their deeply held religious convictions. This shouldn’t be an issue, but it is, because some gays in some states have specifically and maliciously targeted religious florists, bakers, and photographers, so that they can put these innocent people in a compromising position, and then run to the media and the courts when — GASP! — Christians decide to follow the dictates of Christianity. And here we arrive at my quandary. There are so many lies being told about this bill; so many ridiculous and offensive exaggerations; so many untruths, half-truths, and truth-omissions; so many dishonest tactics at play, that I’m utterly overwhelmed by it all. The propagandists are shouting from all around me, and I can’t engage them from every side at once. If I had the time, I’d specifically address the continued comparisons drawn between the historical plight of blacks in America and the imagined plight of gays in present day. I’d point out how this is much like comparing a stubbed toe to the Holocaust. We should remember that blacks were in chains in this country. They were literally treated as less than human. They could be legally murdered and beaten and starved. They were set apart, cast aside, and violently and systematically oppressed. Not only are gays in a better position than this, but the two scenarios are diametrically opposite. Unlike historical blacks, gays are afforded special legal protections. They are celebrated by the president, Hollywood, pop culture, the media, mainstream culture, and most major corporations. They are hoisted on a pedestal by only the most powerful and influential people in the country. Black people ought to deliver a sound verbal smackdown to any historically illiterate gasbag who even attempts to paint the slightest equivalency between the suffering of blacks and gays. But I could write several pages on this aspect alone, and maybe I will soon. People who want a perfect world where absolutely NO discrimination happens are delusional and living in denial. Some types of perceived discrimination is necessary – especially when it comes in a form that harms the souls and spirits of religious individuals. Recall the free speech clause in our Constitution? In the case of the bakers who didn’t want to participate in a homosexual wedding event by baking a cake – I must ask – what ever happened to the sane and cordial response, “well then I’ll take my business elsewhere”? I’d like to see this same lesbian couple go to a Muslim bakery (if one exists) and try the same hysterical tactic. If it was in a Muslim country, they may lose more than their “pride” when the refusal comes down at them. Look people – the homosexual activists don’t want to coexist. They don’t want to be tolerant. They don’t want to respect anyone’s religious beliefs. And, they certainly DO WANT to verbally abuse, attack, and present lawsuits against Christians. Why? Because it is their specific intent to do all those things in order to SILENCE Christians! Whatever happened to live and let live? Is it just a one way street? For homosexual activists, apparently so. P.S. I read in an article that this lesbian couple had been buying baked goods at that bakery many times. It wasn’t a refusal because of their sexual orientation – it was because Christians believe in the sanctity of marriage as being God-given – strictly as a bond between one man and one woman. If that lesbian couple had followed what THEY have been fighting for – coexistence, tolerance, and respect for religious beliefs – then they COULD have simple said, “I don’t agree with what you say (or believe), but I respect your right to say (and believe) it. Therefore, we will relent upon forcing you to do something that is against your deeply held religious beliefs. We can go to another bakery for our wedding cake.” Instead, they had hissy fits, picketed relentlessly in front of the business, sued the bakery owners, and drove them out of business. Why? All because like stubborn, inconsiderate, demanding, and tyrannical haters of Christians, they acted like children who didn’t get their way. As a result, their stupid lawsuit took down the entire business of the Christian couple. What’s that called? TYRANNY – plain and simple. What’s next? Jail time for Christians who refuse to be forced into having any part in a sinful ceremony? Oh wait…that already happened to a pastor in Norway! Because of political expediency, this bill will most likely be vetoed. Then, the same thing that happened to the bakery Christian couple will probably happen many times across the nation. The homosexual activists should therefore add an additional symbol to their rainbow flag. It’s one that reflects the tyranny that they are imposing upon anyone in America who wants to exercise their deeply held religious beliefs. The Nazi sign. Should a Jewish Bakery be forced to make a cake for a skin head movement? She a black catering business be forced to feed a KKK convention if hired? I don’t buy that by providing photography services or a cake for a wedding is somehow “condoning” the gay marriage. You’re a business selling a service… that’s it! If you go to a Jewish deli, yes, I expect only kosher… If I wanted non-kosher then I’d go to a different deli. If I go to a bakery, I expect them to bake a cake. Your rationale in this argument is ridiculous. To all those who say that gay marriage goes against their religious beliefs… well, then don’t do it. But what give you the right to tell someone else how to live their lives??? That same statement could be directed at the lesbians who had the intention of “telling the bakers how to live their lives” because the lesbians would either force the bakers to make their cake or sue them – which ultimately resulted in the Christians losing their business. christinewjc says: Your comment is awaiting moderation. Yes Ren – just more evidence of how far the gay Nazis will go to get their way. The money, power and tyranny is so obvious. Maybe that’s what separates liberty lovers from liberals. For all their talk about “minding your business” and “this doesn’t concern you” and “live and let live,” theirs is truly an ideology of compulsion. The free speech and expression of other citizens must be tamed by the whip of their lobbying, legislating, and litigating. It is, of course, ridiculous to insist that any man or woman has a “right” to have a cake baked or t-shirt printed. It’s equally ridiculous to put the desire and convenience of the would-be cake consumer and t-shirt wearer above the First Amendment rights of the cake maker and t-shirt printer. But this is tyranny. It doesn’t have to make sense. Make no mistake: this is tyranny. Tyranny is not injured emotions, hurt feelings, and minor inconveniences. Tyranny is the government compelling a man or woman to conform to a dogma or bow to an idol. Tyranny is when you are forced to abandon your beliefs and fall in line. So What’s the Difference Between the Christian and the Jew? Actually, Christians and Jews share a LOT of history together. There are many things that we have in common than what we disagree about. One thing that we have in common is the fact that our nation was built upon Judeo-Christian tradition of values, ethics, and faith! Those who would wish to change or reject the values, freedom, justice, and liberty imbedded into our Founding documents; or would attempt to re-write history, are sadly and horribly misguided. They are hopelessly mistaken, too. But I digress. Before I get to the topic, I wanted to state that due to the abandonment of signing in and posting at my former Talk Wisdom blog, many followers there are not aware that I have moved my blog over to Word Press. It’s funny. Back in the early days of posting over at blogger, I felt like I was “talking with myself” because no one knew that blog existed in the vast online world. In a way, I feel like that today. Ever since I came over to Word Press (since Oct. 2012) my blog has had few visitors. But that’s OK. Sharing God’s Word and reaching this fallen world with the truth is a passion of mine. Perhaps this blog will be built up over the next few years. However, I still can access the traffic at my former blog via the Hi Stats link I can still access and see what people are searching for online. It’s amazing to see how previous posts there are still being researched and influencing people who visit. I decided to read through that post and the comments again, in order to refresh my memory about what was written. It is interesting to note how views about Israel and the Jewish people vary according to one’s ideology. Talk Wisdom: Banned Video! MSM Won’t Show This! Learning about these particular Jews helped me understand why so many of them supported Obama and the leftist Democrats! Jews can be anti-Zionist too. Banned Video! MSM Won’t Show This! This Is How Peace Is Achieved! Now, the Rabbi in the video who totally believes what he is preaching, makes a distinction between Judaism vs. Zionism. It is his desire for peace in the land. We all want peace, of course. Isn’t it every beauty pageant contestant’s dream (and answer) in response to “what they want most in life” – world peace? Nothing wrong with that. However, the Bible is clear about just when, and ultimately, how peace shall come to Jerusalem. It is when the King of Kings and Lord of Lords – Jesus Christ – returns to establish His kingdom on earth for 1,000 years! Of course, no Jewish person would agree with that. However, the Zionist Jews DO appreciate the friendship, love, loyalty, and support for their nation Israel, and our Christian REASONS for doing so – even if they don’t believe that Jesus Christ was, is, and always will be the Son of God. In Fritz Ridenour’s book entitled, “What’s the Difference,” he has an entire chapter on explaining the differences between not only the three main Jewish levels of faith (namely, Orthodox, Conservative, and Reform) but he also shows how Christianity is eternity connected to the Jewish roots of the Bible. Judaism, the religion of the Jews, is built firmly on the Torah or Law. This Law had been given by God to Moses. At that time God promised that if the people would obey the Law they would be blessed. Both Jews and Christians can agree with that. In fact, Christians believe in everything as it is recorded in the Old Testament. The one point that is disagreed upon is just who is the Messiah? Christians share a great deal with these Jewish people. To begin with, we share the Old Testament and its teachings. We share a belief in the same God – a God of holiness, justice, purity, righteousness and unity. Both faiths gladly proclaim, “The Lord our God, the Lord is one. Love the Lord your God with all your heart and with all your soul and with all your strength” (Deut. 6:4,5). The moral and ethical teachings of the Bible are part of the Jewish and the Christian heritage. Both accept the Law as given by the living God who created the world and is still the Lord of creation. There are many more similarities between Judaism and Christianity: the need to worship Godm the importance of the family, the obligation to love others. Many Jews accept Jesus as a great prophet and find good things in His teachings. But this is as far as they will go. There is SO MUCH MORE that I could write about Jesus being the “great divide” between Judaism and Christianity. But there is one big reason why some Jews at the time of Christ’s ministry on earth, rejected Him. He (the Messiah) was spoken of by the Old Testament prophets as one who would redeem His people from their sins. But by the time of Jesus, tradition and petty legalistic interpretation of the Scripture had watered down belief in original sin and man’s need for personal salvation. As a result, many Jews were looking for a national deliverer. They looked for a warrior-king like David who would drive out the hated Romans and restore the nation of Israel to its ancient glory. When we realize this, it’s easy to see why many were disappointed by the humble Man of Galilee. Jesus claimed to be the Messiah – the Son of God. Christians see the Old Testament prophecies (over 300 of them!) as being fulfilled in Jesus – especially the “suffering servant” written about in the book of Isaiah chapter 53. Many of the 300 prophecies about the coming Messiah of the Old Testament were fulfilled by Jesus Christ. The rest will be fulfilled at His Second Coming. The question of Jesus: Was He the Messiah as He claimed, or was He an impostor? Argument cannot settle this question. Each of us (whether Jew or Gentile) must look carefully at Jesus and answer the question for ourselves. Should we accept Him as Messiah, as the Savior and Lord who was promised by the Old Testament prophets? As the Christ of prophecy, He stands ready to receive all who believe in Him. “For there is no difference between Jew and Gentile — the same Lord is Lord of all and richly blesses all who call on him” (Romans 10:12). But they can NEVER take away the beauty, love and grace of God through the salvation message of Jesus Christ which comes shining through in this beautiful song! See my previous post on the movie and song: Alone Yet Not Alone. Our Country and This World are Spinning into Insanity on Purpose. Wow! Recently read an amazing comment that reiterates the title of this post and pretty much sums up the political powers-that-be struggles that have occurred throughout history, as well as the struggles that we are witnessing today! What’s more, is the fact that subsequent generations apparently do not learn from history, and some lunatics in the media of mass deception spin unbelievable propaganda about past human evil, suffering, and carnage! The Internationalist have their plan, the Islamists have their plan, and the commie/socialists have their plan. For the moment they all align with intent so they are all using each other to create absolute worldwide chaos and each leader propped up by these groups is out for what they want and obama is good at that game. The purpose for chaos and death is to justify clamp down, arms confiscation, and in general steps toward dictatorial powers for these groups. These groups just like the axis powers in World War 2 will work together on a worldwide basis to make these realities come to fruition. Just as the axis powers in world war two believed that they could rule the world in sync after dominating it they each all also secretly believed that they could overcome the other in the end and become the one true leader of the entire world, so do these new axis powers believe the same. I believe the internationalists believe as Hitler did that with an overwhelming political power, economic power, and military power of a united Europe and the Americas in their pocket and with deep inroads (politically and economically) into the African continent and the mid asia, and asia proper continents that they will eventually come out on top as the unified world leaders and thus enforce the one world governance that they have been developing onto the world. We are one step away from a total worldwide dictatorship. The neutering of the 2nd amendment of the Constitution of The United States of America. If we do not ensure that our 2nd amendment rights and freedoms are rock solid then no rights will be and if we lose the U.S. we lose the world. And that my friends is what all of them are counting on. Praise God and pass the ammunition! Long live this Republic! The bottom line is the fact that unrepentant, reprobate, and unredeemed man cannot gain power, money, influence, and rule without utilizing evil. It’s just the way it is in this fallen world. Do a word search for the root word terms included in that former sentence (for example, the term “repent”) at any online Bible site and you will be amazed at just how accurate prophecy – that was given throughout God’s Word – has been about such subjects over the course of the history of mankind! nor height nor depth, nor any other created thing, shall be able to separate us from the love of God which is in Christ Jesus our Lord. BHO and Obots in Panic Mode? Pastor Emeritus Nathan Bickel has a very revealing post up at his Moral Matters.org blog! I am sharing it here at Talk Wisdom because I think that it needs to go viral! Therefore, if you have a blog, I encourage you to get the truth out there regarding the g()()gle ()bots schemes to shut down sites which are disseminating important information about this criminal enterprise that surrounds the horribly evil BHO BADministration! Can it be that aka Obama is in apparent panic mode? Is he now terrified of the carnival barkers? Birtherreport.com is a website highly (and rightly so) critical of aka Obama’s actions against traditional, patriotic and Constitutional America. For the most part it allows free access for viewers to register their comments. Those who stand by aka Obama’s molestation abominations committed against America, are given space to defend their criminally scandal-ridden ID fraud. Yet, for some reason, – and, apparently so, it wasn’t enough that aka Obama be defended by his enablers on Birtherreport.com. Instead, the website was mysteriously taken out of the Internet loop. Fortunately, the Birtherreport handlers are working on transferring their website content to another server and they can be done with the one Internet entity, that for no logical reason apparently decided to suspend their Birtherreport.com website. Why wouldn’t scandal-ridden, criminal ID fraud aka Obama, not care to “lean on” Internet entities such as Google, to further his limitation of American First Amendment rights – especially when those “carnival barkers” are fast chasing at his felony ID fraud terrified and fleeing heels? Oh my gosh!!! When I first heard about the Birther Report hacking, I suspected that g00gle HAD to be the culprit! I went through another type of harassment with my bl0gger Talk Wisdom blog – continual virus attacks. Ever since I stopped signing into my former blog through g00gle and re-opened my 2008 Word Press blog back in Oct. 2013, I have had ZERO virus attacks! I now use Start Page for all searches and never sign into Y0uTube anymore. You are absolutely right that Mr. Zero and his Obots are terrified about the truth finally coming out about this obviously criminal BADministration and lying usurper! Previously, the Obotslaves just laughed off websites like the Birther Report and others. Now, they are trying to do all they can to shut them down! Just like Mr. Zero illegally utilized the IRS to shut down TEA Party and Conservative groups from getting tax exempt status in order to control the 2012 election. GREAT work here Pastor Nathan!! I must now go back and finish your post. When I got to the point where you identified the hacker – g00gle – I had to comment. This information needs to go viral so I am sharing this post on my blog today! P.S. My old blog is still up and I have access to all my former posts (without signing in) via the search button at the top of the page. Hi Stats is still linked to it and it reveals that 100 – 200 views are still occurring there; plus, it shows how people got there via their search criteria. When the Soebarkah information resurfaced online, many came to that blog to read what I had previously written. As long as I no longer sign into g00gle and just “visit” my old blog, I do not have any virus attacks. Therefore, what those evil g00gle boogey-men tried to suppress (at my former blog – which includes a lot of Christian content) is still being read by hundreds of new visitors each week. Praise God! I’m so glad that we “met” online Pastor Bickel and am so blessed to be able to read your excellent work here at Moral Matters! No matter what happens here on this earth, we know that Jesus Christ is victorious through it all! In his ongoing series on heaven, Dr. David Jeremiah discusses the question that many who remain on earth ask after the physical death of a loved one. Where are they now? In Dr. Jeremiah’s sometimes surprising presentation, you will learn the answer to that question and many more! The information is not man’s ideas about heaven. It is based on evidence through Bible verses; including the words and stories shared by Jesus Christ during His ministry on earth. Click on the link below to view this week’s episode in the heaven series. You will learn a lot and be blessed! David Jeremiah.org: Beyond this World Series on Heaven – Where Are They Now? Why Won’t BHO Be Impeached? Congressional Leadership Complicity? Many bloggers and commenters have done what the media of mass deception refuses to do: Expose that BHO and his handlers are running wild with unconstitutional actions, law breaking, criminality, and the ruining of our Constitutional Republic here in America. Because of such crimes, BHO should be impeached! However, we must ask a pertinent question; with all of the evidence of criminality, why does Congress refuse to impeach him? Could the reason be that it is because of the complicity of corruption within the Congressional leadership and their involvement in such offenses out there in Washington D.C.? It was very evident and obvious that the TEA party candidates that got into Congress in 2010, are rabidly hated by many of the establishment Republicans in the House, but especially in the Senate! Recall how they COULD have stood by Ted Cruz during his 21-hour filibuster-like speech against ObamaHELLcare on the Senate floor back in September, 2013, but they didn’t. In fact, McCain disparaged him! Well, at least McCain ended up apologizing to both Ted Cruz and Rand Paul. Is McCain up for re-election to the Senate in 2014? That may be why. I haven’t seen any Republicans in leadership roles stand up for Senator Tim Scott (who happens to be a TEA Party backing, black, Conservative Republican) who was mockingly disparaged by the NAACP either. We The People, this Republic, our Constitution, and the laws being broken by this BADministration just don’t matter as much to the old timers in Congress…at least not as much as their power and paychecks! Pressed for time today, but I want to at least get a few political revelations out there. The Birther Report is stating that the Democrat party sent out another frantic email regarding the recent calls for BHO’s impeachment. One commenter there made a good point: it may just be that the Dems are using the issue to fundraise. No surprise there. However, when I clicked on a former post about the same topic, I read a comment that seems to ring true regarding Congress’ inaction re: the eligibility issue. That inaction might also explain why the House seems reluctant to start impeachment proceedings. First, I must add to the discussion here that Rush Limbaugh is talking about this issue on his radio show this morning. However, he claims that the House will not impeach BHO because he’s the first black president, and they don’t want to do it because it would be deemed “racist” by his base. So…what else is new? EVERYTHING is deemed as “racist” when this liar and his ilk push horrible legislation (like ObamaDOESN’Tcare); gets caught in scandals (like NSA spying, IRS targeting of TEA Party and Conservative groups, Benghazi, Fast and Furious….) and when any “black” issue could be exploited. I could go on and on! Just see this page. I have always been an admirer of Attorney Jay Sekulow of the ACLJ and he did a magnificent job in the IRS Scandal hearing yesterday, but I was disappointed to learn his attitude about the BHO ID fraud findings is another indication that no one wants to touch the issue. Back to the calls for impeachment topic. In a previous post at The Birther Report, I think that a commenter there informs us of exactly why (sans the “racism” fear) Congress won’t touch the impeachment issue. ‘It’s not that he can’t be impeached, of course he can, but he won’t be because of Congressional leaderships complicity, (though is it also more than just leadership, especially in the cover-up), in assisting in the election of an ineligible, identity fraud con-artist, an action which constituted treason. Congress will NEVER do anything to Obama that even MIGHT fully reveal who and what he is, and in doing so their complicity in the biggest fraud in history. Go back to 2009 and trace the actions and inaction of Congress, what they told their members to tell constituents and the 3 times they tried to get the CRS to explain away natural born citizenship. Those in Congress most complicit, and there is plenty of paperwork to go with that complicity, will NEVER allow impeachment of Obama to happen no matter what he does or says he is going to do. Congress proves that every passing day. This is why, even shown massive evidence of Obama’s usurpation, they will not act, they are protecting themselves and their leadership from what the truth would bring to them….like, prison or worse. Congress is happy to be divided, the Republican House can blame the Democrat Senate and no one has to face the possibility of being found complicit in the biggest fraud in history. Just ride it out until 2017 and hope it all fades away. 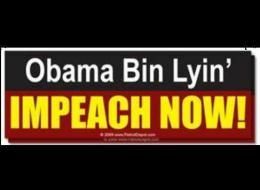 Thanks again for the article,……now…..how do we get a complicit Congress to impeach Barry? Back in September, 2013, I wrote a blog post which contained information (maybe, speculation to some) that Boehner must be complicit in the Benghazi cover-up since he refuses to call for a special Congressional hearing on the matter. If they utilized the cover-up mode once, why wouldn’t they do so again? The Big Game is Over…Now What? How about the opportunity to learn about and Discover The Wonderful Reality of Heaven? The Bible contains over 500 references to heaven. In this brand new resource Dr. Jeremiah offers specific answers to 75 questions about heaven. as simply, readably, and biblically as possible. The Super Bowl is over. Did the team you favored to win succeed? All the hype that has been shared over the past two weeks on every Fox network and sports channel has come to an end, now that we know the winner of the game. And…that is all that it is…a game. But for so many people, it was the most important event that happened today. A football game captured their hearts, minds, souls and physical presence…as millions of people watched in the stadium, at sports bars, or at their homes. The enthusiasm for a football game isn’t wrong, mind you, but I think that millions of people don’t realize what they are missing when they don’t know the God of the Bible, His Son, Jesus Christ, or the eternal destination called heaven. Earlier this morning, I experienced a much greater joy than a football game when I watched Dr. David Jeremiah of Turning Point Ministries share a sermon on answers to questions about heaven. Non-believers probably don’t know much about heaven, but even many Christians do not know much about it! Why? Because they don’t study the Bible. Another big reason is that maybe Christian pastors in churches all across America do not share the particular Scriptures that give us glimpses into what heaven will be like. If you are a believer in Jesus Christ, don’t you agree that it might be very important to know all that we can learn about our final destination when we leave this world? David Jeremiah.org: Beyond This World: What’s Up With Heaven? If you don’t know much about heaven, then I encourage readers to view the entire series which will be aired from Feb. 2 – Mar. 30, 2014. Dr. Jeremiah admits that many things about heaven are not easy to understand. It isn’t like earth, which we know, currently experience, and are used to living in. We have never visited heaven. Even the drawings of what heaven might be like (we have no photos of it!) fall short of what it will be like. Our minds eye cannot even fathom it, yet our souls long to be there one day. We are left with Scripture alone to inform us about our eternal home and answer the many questions that arise. One of the most impressive things about the study guide is the fact that it is not based on the speculation of a preacher, or even the writer of the guide. It is filled with Scripture references and descriptions about heaven – many of which were difficult for the prophet writing about it to describe. The Bible says, “No man shall see [God], and live” (Exodus 33:20). Therefore, when John looked into heaven, he only saw the appearance of God and tried to put it into words as best he could: “…like a jasper and a sardius stone in appearance; and there was a rainbow around the throne, in appearance like an emerald.” A jasper stone is what we know as a diamond, and the sardius is our ruby. So John saw a brilliant, multifaceted stone that sparkled in the light. Somehow, what John saw was best described in terms of brilliance, worth, beauty, and light. Who among us could have described it any better? It is hard to find words in any human language to describe the appearance of God. All John could do, and all we can do, is describe the impact of His presence, not His person. Describing God is like describing the wind –the best we can do is describe the presence or impact or appearance of the wind, not the wind itself. That is so wonderfully stated! John’s experience informs us that worship is not about us — it’s about Him [God]! Worship is not about here –it’s about there! Our focus should be on God – not ourselves! We worship Him because of Who He Is, and what He has done for us through His Son, Jesus Christ! Rev 5:1 And I saw in the right hand of Him who sat on the throne a scroll written inside and on the back, sealed with seven seals. Rev 5:3 And no one in heaven or on the earth or under the earth was able to open the scroll, or to look at it. Rev 5:4 So I wept much, because no one was found worthy to open and read [fn] the scroll, or to look at it. During his vision, John “wept much” because “no one was found worthy” to open and read the scroll, or to even look at it! Rev 5:6 And I looked, and behold, [fn] in the midst of the throne and of the four living creatures, and in the midst of the elders, stood a Lamb as though it had been slain, having seven horns and seven eyes, which are the seven Spirits of God sent out into all the earth. Rev 5:7 Then He came and took the scroll out of the right hand of Him who sat on the throne. The Lamb who had been slain was Jesus Christ on the cross of Calvary. He, and he alone is worthy to open the scroll! You see, the only way for all of us to have been redeemed was by the shed blood of Jesus Christ for the forgiveness of sins. If Christ had not completed his mission, he would have re-entered heaven alone – without “every tribe and tongue, and people and nation.” Through what Christ did, we are made “kings and priests to our God” and it is revealed that we shall “reign on the earth” [a reference to the Millennium where Christ rules on the earth for 1,000 years] with Christ! Seeing Jesus Christ is going to be so awesome. Indescribable, in fact! We will realize the reality of Jesus being “Worthy is the Lamb who was slain To receive power and riches and wisdom, And strength and honor and glory and blessing!” All we could do is fall on our knees in worship and adoration for our King! In C.S. Lewis’s allegory The Great Divorce, he tells of a man who journeys to heaven and finds it to be grander in scale and more beautiful than he could have imagined. Hell, he discovers, is the opposite, a fleck of dust by comparison with heaven. In the same way, Lewis suggests our lives in this world get smaller and smaller the more we comprehend the grandeur of heaven and eternity. Seeing heaven was for John like us walking up to the edge of the Grand Canyon for the first time–speechless in wonder. Jesus accomplished all that he said he would during his three year ministry here on earth. His promises can be trusted. Our faith is not a blind faith, for we see through the eyes of faith in a Person – Jesus Christ – who did what no other religious leader could have ever accomplished. He rose from the dead! Therefore, we can have the confidence to believe that God is able to do above and beyond what we can ask and think or expect (see Ephesians 3:20). Nothing is impossible for God (see Luke 1:37). "Make your ear attentive to wisdom, incline your heart to understanding; for if you cry for discernment, lift your voice for understanding; if you seek her as silver, and search for her as for hidden treasures; then you will discern the fear of the LORD, and discover the knowledge of God"
Copyright Information © Copyright 2008 - 2015 Christinewjc. All Rights Reserved. Except for brief quotations and blog link excerpts, content on this blog is not for reuse or redistribution without the prior consent of the author. Fair Use Notice This website contains copyrighted material, the use of which may or may not have been specifically authorized by the copyright owner. Excerpts of such material is made available for educational purposes, and as such this constitutes 'fair use' of any such copyrighted material as provided for in section 107 of the US Copyright Act. In accordance with Title 17 U.S.C. Section 107, the material on this website is distributed without profit to those who have expressed a prior interest in receiving the included information for research and educational purposes. Original material published on this website may be excerpted and reproduced for the purpose of critical reviews. However, such original material may not be reproduced in full on another website or in any manner without prior approval from this website's owner. In both cases, the author and website must be credited by name and a hyperlink provided to this website. About Christinewjc and this Talk Wisdom blog. Married for 34 years to my wonderful husband! Two grown adult children, a wonderful son-in-law and beautiful granddaughter in whom we treasure and enjoy life. Our family is very close and love to spend time with each other. We share a deep Christian faith, love for the Lord Jesus Christ and love for each other. I earned a BA in education from Kean University in 1978. 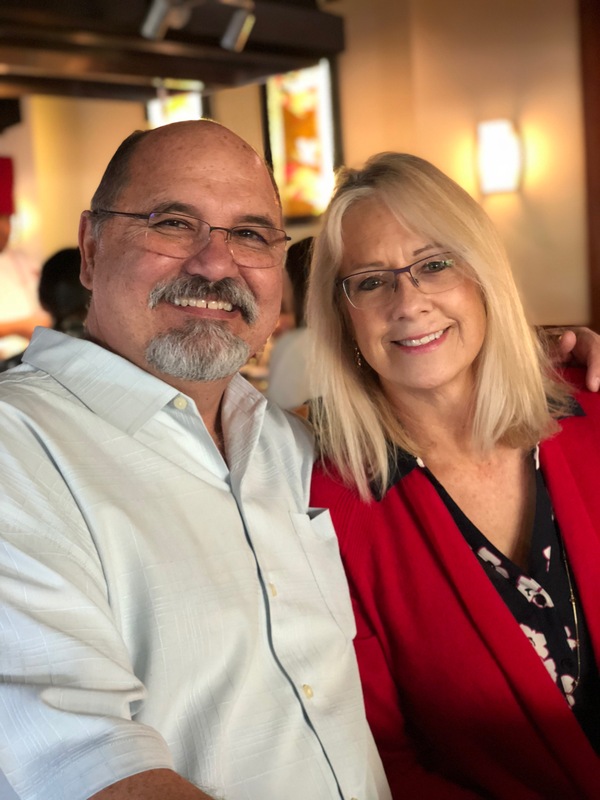 I have been studying the Bible for over 30 years and in 2003, upon successful completion of the course of study offered in the MA Lecture Series, earned a Christian Apologetics Certificate from Biola University. 2 Timothy 3:17 – that the man of God may be complete, thoroughly equipped for every good work. Talk Wisdom’s goal is to defend the tenets and values of Biblical Christian faith. We defend our Constitutional Republic and Charters of Freedom, especially when speaking out against destructive social and political issues. As followers of our Savior and Lord, we should boldly stand up for Jesus Christ in our present circumstances. He is our Savior, Lord, and King, and His love needs to be shed abroad in our hearts and in our world – now. Talk Wisdom's goal is to defend the tenets and values of Biblical Christian faith. We defend our Constitutional Republic and Charters of Freedom, especially when speaking out against destructive social and political issues. As followers of our Savior and Lord, we should boldly stand up for Jesus Christ in our present circumstances. He is our Savior, Lord, and King, and His love needs to be shed abroad in our hearts and in our world - now.